Believe me, I was taking notes! If it was just one goat, I'd say it was just well bred, but her whole herd looked lovely! The next thing I know, references to Kat's book and remedies started popping up on the Totally Natural Goat group forum and the comments are excellent. 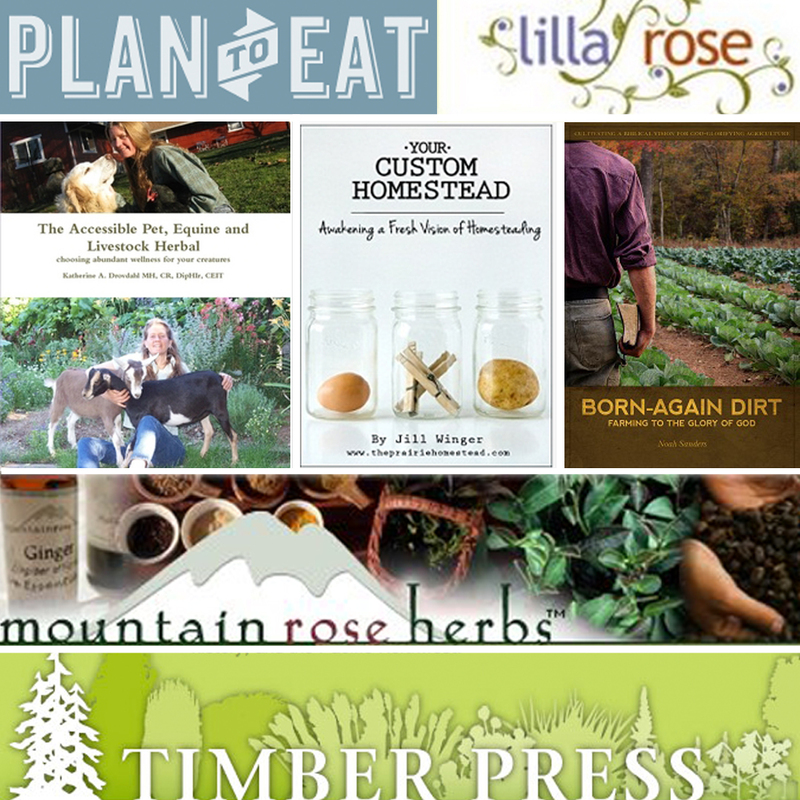 So I started scanning Fir Meadows website, looking at all the natural products available and Kat graciously agreed to participate in the Sizzling Summer Round Up! 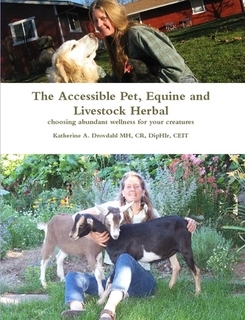 Kat Drovdahl, the owner of Fir Meadow, recently published her book "The Accessible Pet, Equine, and Livestock Herbal". With easy to follow information on whole herb and essential oil remedies, the layperson can address simple to difficult situations on their own farm or at home. While it was written for pets and livestock, Kat also believes much of it can be applied to human wellness. For the beginner or more advanced homesteader with herbal experience, this book should be a great resource to keep on hand in the home or the barn. For those who aren't ready to try their hand at mixing remedies, Kat sells more than just a handful of her homemade herbal products. Soaps, lotions, teas, bulk herbs, essential oils, first aid herbal mixes, natural worming products, salves, infusions, and so much more! You really need to see for yourself. If there is a way to address something more naturally and with less stress on the animal or body, I'm all ears! A resource like The Accessible Pet, Equine and Livestock Herbal should be in every homestead library. And someone is going to win a copy of her book for FREE! 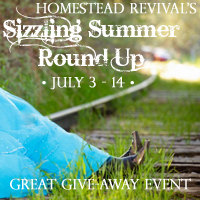 This give-away is open to all Homestead Revival readers, but shipping will only be paid within the U.S. (non-U.S. residents will need to pay for priority shipping). • Visit Kat's site Fir Meadow and look around a bit. Then come back and tell me which salve, herb mix, tincture, or essential oil interested you and how you might use it (what application or animal). You MUST leave me a way to contact you (a link to your blog, an email address, etc)! • For an extra entry, LIKE Fir Meadow's facebook page and leave a separate comment telling me you've done so. Disclosure: I have not been compensated for this review in any way. The review is solely based on my research and experience.